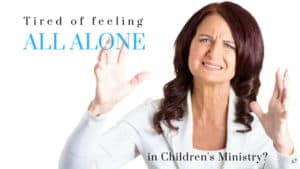 Feel All Alone In Children’s Minsitry? I had no idea so many people felt alone and discouraged in children’s ministry until I started scrolling through one of the KidMin Facebook feeds. Wow! Our children are the future of God’s church and those leading them are feeling discouraged at this incredible work. Training them up in the Lord is a calling, a gift and it is sad to hear so many are feeling down about it. What is causing this? 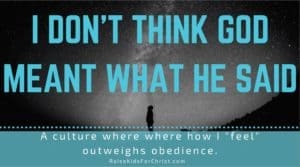 My guess, not enough support or encouragement from others, but remember, we work for God and His glory, not man’s. Easier said than done though, right? What can we do about it? First, and probably most important, pray. After that, remember this ministry is a gift and you are imparting God’s word into the lives of children. Here are a few suggestions they may help you when you need that extra push. Create a “WIN” wall. Take notes of each “win” you notice. Colorful index cards are good for this. With kids, it’s often in the little things. For instance, this past Sunday after Bible class, one of my kindergarteners ran up to me to and asked if we’d be meeting again in a certain room that day. She was excited about our Bible Science night on Wednesday and had been just that week. She was ready to go again. This is a win! When a child is excited about a bible event. Another recent win was having one of my fifth graders asking if we could have a bible movie night this summer before school starts up again. She wanted to spend time watching a biblical movie with her church friends before moving onto sixth grade. Another win! Write these things down on index cards and hang them where you see them daily. This is encouraging when you see your work paying off. And imagine how encouraging it is to look back a year from now at all the “wins” you have had. Parent Help. 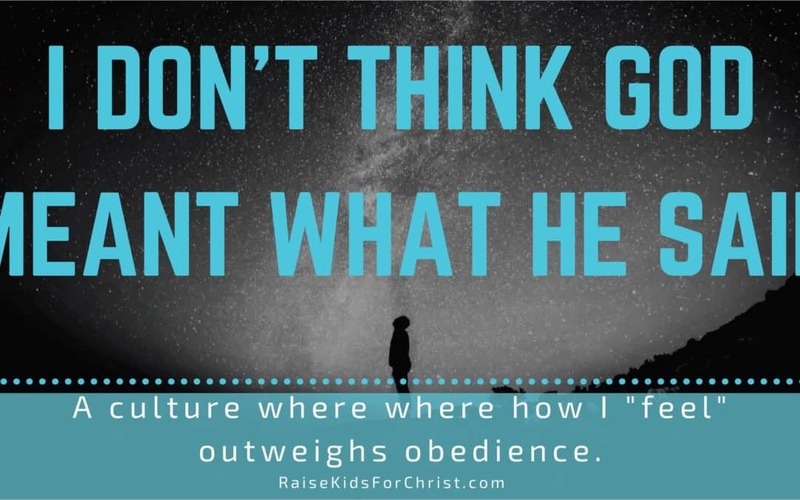 Parents want to raise their kids to have a relationship with Christ, but often just don’t know how. When they realize you are their partner, not just another person occupying their child’s time for an hour a week, they appreciate you. Let them know what you do with their kids each week. Send out an email update each Monday that tells them what you taught their kids that week along with the scripture reference and a suggestion for a simple way they can reinforce this at home. They may not always do it, but they appreciate it. Bible Trivia. Ask the kids some questions about previous lessons. When they remember what you taught them, when it really sunk into their memories, that is encouraging! It keeps me going for sure. I usually cannot wait to tell my husband what they remembered. I get so excited when they remember little details from things we learned months ago. And if they aren’t remembering, this is a great opportunity to adjust what you are doing. I am continually tweaking my methods to get a better response. I want these kids to know God, to love God and to share Him with others! Join a Children’s Ministry Group. Whether a local group or online, join a group of like minded individuals who share your frustrations and your triumphs. Learn from each other. God gave us friends because He knew how much we would need them.